We have a team of attorneys, planners, lobbyists, educators, and organizers all interested in making effective changes in our most vulnerable communities through alternative models providing for systematic change. In addition to being the Founder and President of the Board, Elizabeth is the Executive Director and Lead Attorney at UCELC where she provides vision and implementation strategies at the organizational level and transactional legal services to our partners. Shraddha is a Doctoral Candidate at Rutgers University & NJIT studying Urban Systems. She was born and raised in the city of Mumbai, India where she graduated with a Bachelor’s degree in architecture from the University of Mumbai and worked as a junior architect. 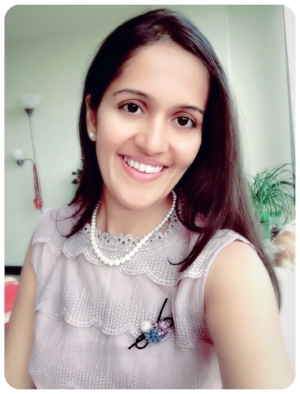 Shraddha received a Master’s degree in Urban and Regional planning from Virginia Tech where she was also awarded a certification in Metropolitan Studies. Later, Shraddha received her Master's in Urban Design from the University of Miami where she conducted research on regional governance in South Florida. Shraddha’s research interests include building a comparative holistic framework to urban development. She will be assisting UCELC with its participatory research project. Katt is a single mother and homeschooling parent to her 9 year old son. She was born and raised in Newark, NJ and has extensive experience in educating and organizing communities, especially the youth. Katt mentors students involved in the Newark Students Union, an organization founded by and for students with the goals of protecting student rights, ensuring quality education, and empowering student voices in the political process. She also educates youth at a burgeoning cooperative school in Newark. Prior, Katt helped organize a Books and Breakfast Program at Source of Knowledge, that provided hot meals and free books to children and adults. She will be assisting with UCELC's Cooperative Academy as Lead Educator. The Street Team is the mobilization arm of UCELC. This team is composed of local organizers working on a number of issues affecting marginalized communities in both Newark and Trenton (NJ). Essentially, the team builds a bridge between those fighting existing oppressive systems and those working to build alternative cooperative models to these systems in order to better serve the economic, social, and ecological needs of marginalized communities. Alaina is an Elder Justice AmeriCorps Legal Fellow at Legal Services of New Jersey. Prior, she was a law student at Rutgers Law and participated in the International Human Rights Clinic's Movement 4 Black Lives Team. As an intern at UCELC, she conducted general and legal research around prison cooperatives at both the state and federal level as part of UCELC's Prison Industrial Complex & Rentry Campaign. Tyler is a rising 3L at Rutgers Law School where she worked in the International Human Rights Clinic on the Movement 4 Black Lives Team. She was formerly an intern at UCELC where she assisted in general and legal research aimed at developing the organization's Anti-Gentrification and Affordable Housing Campaign, including a feasibility study for creating low-income cooperatives within the state of New Jersey. Julie is now a fellow at the Sustainable Economies Law Center where she supports housing cooperatives composed of seniors. Prior, Julie was a law student at CUNY Law and an intern at UCELC where she was instrumental in the development and launch of UCELC's PILOT Cooperative Academy. She engaged in general and legal research of cooperative enterprises, including, but not limited to, cooperative finance, community planning tools for cooperative development, cooperative history and modern trends, and legal tools and tax implications of cooperatives.